Did the Tyrannosaurus rex have feathers, as some scientists have wondered in recent years? No, says a new study. 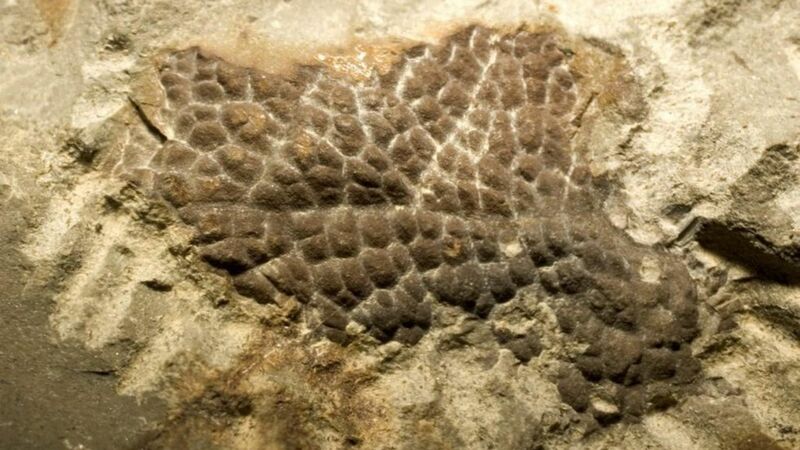 Unlike some of its feathered ancestors, the T. rex was covered in scales. The discovery: Scientists found fossilized, scaly skin on the T. rex and other tyrannosaur species in North America and Asia, a strong challenge to the idea that T. rex w was covered in feathers like some of its ancestors. "(This) shows without question that T. rex had scaly skin," Phil Bell, a paleontologist at Australia's University of New England, told The Washington Post. One big question: If its ancestors had feathers, why did the T. rex evolve with scales as it became Earth's apex predator 70 million years ago? The researchers propose it may have been the dinosaurs' large size: bigger bodies can more easily maintain a constant body temperature and feathers could have trapped unwanted heat.